The MP Series rack enclosures provide an extensive versatility of sizes to satisfy virtually every rack enclosure or rack cabinet. 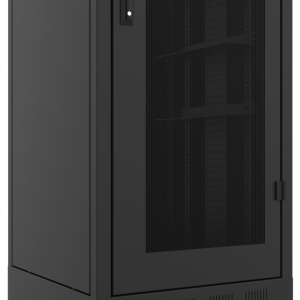 This 19 inch server rack cabinets are available in 12U, 16U, 22U, 32U, 37U, 42U and 47U, all sizes in 640mm/25.19" deep x 640mm/25.19" wide. 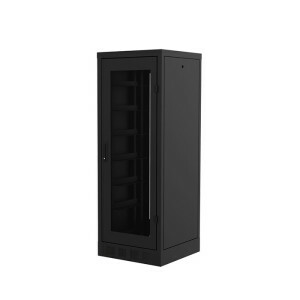 Each rack described comes complete with glass locking security front door which can be mounted left or right, front and rear aluminum rack rails, fully ventilated split rear door, including four castors and four levelers (unassembled). Panel mounting rails are fully adjustable front and back and sides are easily removable to allow quick assembly access. 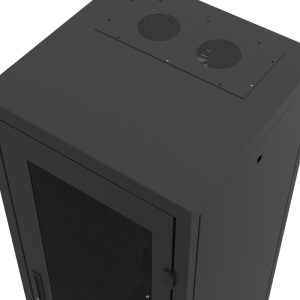 The free standing pre-assembled 19" rack cabinets are made from 2.00mm with pre-built earthing wiring installation so that voltages that are induced into cabling (by lightning or other disturbances) are directed to earth. These MP Series rack enclosures and rack cabinets serve as the ideal solution for all rack mounting applications from hi-tech home theater systems to server racks, data racks, audio racks, and computer racks for both home as well as professional and networking rack assignments.